V. S. LAW OFFICE provide gamut of legal services to the shipping and aviation world. 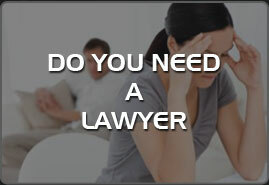 We also work with other independent lawyers in all major jurisdictions, to ensure proper co-ordination and handling of the case simultaneously in two or more countries. Ship arrest and release of vessel. Shipping dispute resolution, bunker disputes, guarantee claims, Bill of lading disputes, goods in transit disputes, cargo claim and other claim related matters and Commercial litigation, mediation and arbitration. Port regulations and infrastructure. Marine casualty investigation and response. International and domestic joint ventures. Deal Negotiations, Airport agreements, agreement for sale, purchase or leasing of aircrafts, helicopters or Jet planes of new and used aircraft and ownership structuring. Issues pertaining to the pilots, engineers, technicians etc. including issues of engaging foreign pilots, registration, obtaining operating certificates and traffic licences certification, pilot requirements, operations and maintenance. Airline start-ups, certifications and aircraft finance. Assisting clients in getting approval form Aircraft Acquisition Committee for grant of No Objection Certificate (NOC), for purchase and for import of aircraft and helicopters. Foreign registration of flight equipment. Choice of Business Entity for Aviation Company. Procedural assistance in issues relating to setting up of a Greenfield airport. Legal advice with regard to code sharing and other commercial arrangements, aircraft certification, aviation safety and security airport infrastructure restrictions as well as airport user fees. Exit Strategies for Aviation Company. Protection of Intellectual Property in Aviation Company. Litigation support in cases involving air crash, aircraft accidents, on liability issues, complex commercial litigation, arbitration and matters involving international regulations, laws and proceedings.